University Press of Mississippi, 9781578060511, 248pp. Not since Martin Scorsese with Mean Streets in the mid-1970s has a young American filmmaker made such an instant impact on international cinema as Quentin Tarantino. In many ways, Tarantino is the paradigmatic 1990s success story: from high school dropout, toiling anonymously in a California video store, taking acting lessons, to world acclaim, with Pulp Fiction as the Grand Prix winner at Cannes. Tarantino, turning famous, remains the same manic talker who is obsessed with American pop culture and is endlessly enthusiastic about his favorite movies and moviemakers. Informal, gregarious, accessible, he has been a journalist's dream, for his wonderfully expressive, almost stream-of-consciousness chatter. 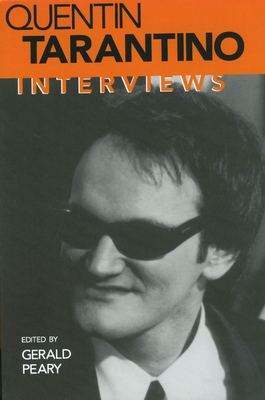 This collection is the first book of Tarantino interviews to be published. The selections are his most uninhibited, far reaching, and revealing. They demonstrate conclusively that the source of his world-renowned pop-culture dialogue is his own brash, vivid, virtuosic conversation. "I realized I didn't want to be an actor," he says. "I wanted to be a director. My favorite actors were character actors and I realized they still had to read for parts. I didn't want to be fifty years old and still reading for parts. I wanted some control over my destiny, and it seemed to me that directors did."